Previous: Alexa - Help Police! North Yorkshire County Council partners with Arqiva to address regional not-spots. North Yorkshire County Council has awarded £1million contract to Arqiva to bring fast broadband access to urban locations without 4G coverage. The project is funded by the Council from the York, North Yorkshire and East Riding Enterprise Partnership (YNYER LEP). Arqiva, which operates an independent infrastructure model, will identify network operators that can expand their services to cover areas that are deemed not commercially viable. The lack of 4G coverage in many rural areas has been in the news over recent months as the digital divide continues to grow. A research released by the National Farmers Union showed that only 17per cent of farmers has reliable mobile signal across all their outdoor locations. 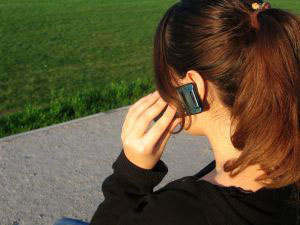 Last year, Ofcom put forward plans to improve mobile connectivity in rural areas. Its first recommendation was public subsidies to eliminate not-spots. While many rural areas struggle to achieve a reliable broadband service, UK’s main cities are racing to become the first to offer 5G customers in urban areas.